Keeping University of Washington alumni and friends connected with the spirit of discovery and love of learning lies at the heart of the UWAA’s mission. That’s why, year after year, the UWAA teams up with partners from across the University community to support and produce unique events and programming designed to expand minds and open hearts. Here is a review of what we’ve been up to recently. History Lecture Series. The UWAA’s partnership with the UW Department of History is one of our longest and most fruitful, and remains the focal point of one of our signature lifelong learning events. With roots going back to 1975, the History Lecture Series involves the UWAA and UW History working closely together to develop and produce four lectures on a unified topic. 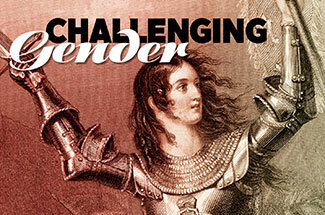 “Challenging Gender,” the 2019 series, dove right into one of today’s most contentious conversations. Over four Wednesdays in January, UW history professors explored the stories of those who dared to defy the cultural norms of their times, from medieval Europe to 1960’s America. Planning is already underway for the 2020 series, which will feature ancient history and culture. Short Talks: Love. In the words of event moderator Randy Ford, “Love is so powerful, and without it, the world is nothing.” Last February, in celebration of the Q Center’s 15th anniversary, the KEXP Gathering Space became the setting for a special evening as alumni Selma al-Aswad, ’09, ’10, Helen Gebreamlak, ’18, Jaimée Marsh, ’19, and Casey Wynecoop, ’16, shared stories of reflection, struggle, empowerment and connection. In the spirit of the evening, the event concluded with a birthday party, complete with cake, dancing and tunes from KEXP DJ Stas THEE Boss. We followed up the event with a joint fundraising initiative, pairing a UWAA membership with a donation to the Q center in honor of their anniversary. Promoting campus lectures. The UW is host to hundreds of speakers each year. Working with campus partners — from the Graduate School to the College of Arts and Sciences to the Department of Psychology — we publicize those of interest to the general public. 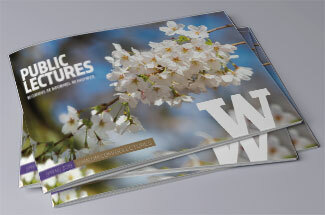 The Spring 2019 public lectures catalog features speakers from an array of fields, and is a showcase of the depth and variety of learning opportunities on all three UW campuses. It is a product of collaboration between dozens of stakeholders and is a physical representation of our commitment to lifelong learning. Exploring bias. 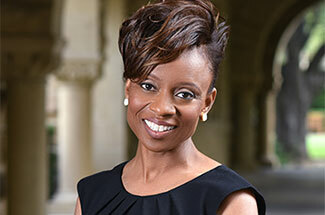 Most recently, this April saw MacArthur “genius” grant recipient Dr. Jennifer Eberhardt in conversation with Jeff Raikes at the University Temple United Methodist Church, right across the street from campus. Eberhardt, one of the world’s leading experts on racial bias, offered a reasoned look into the effects of implicit racial bias, ranging from the subtle to the dramatic. We were proud to work in partnership with University Book Store to help bring such an important perspective to our community, and encouraged staff to attend and reflect upon how our work can help grow a welcoming and inclusive community for all alumni and friends. The UWAA’s lifelong learning initiatives are one of the many ways we foster profound engagement between alumni, the University and the community at large. The partnerships we build with units across campus and the work we do together to serve the University’s public mission inspire us, and we are always pleased to see how our efforts help enrich and inform our UW alumni family.